The Huawei MediaPad X1 7.0 tablet has been spotted on the internet with leaked specs that make it a worthy rival of the Google Nexus 7. The Droid Guy were one of the first who stumbled across the Huawei MediaPad X1 7.0 at the Tenaa website, China's FCC equivalent. Most of its specs were leaked along with a single low-res image that makes it look a tough competitor of the Google Nexus 7. It sports a 7-inch touchscreen and can deliver visuals in a resolution of 1920 x 1200 pixels. This chipset is accompanied by a Mali-450 GPU and you even get 2GB of RAM along with it. The tablet is set to run Android 4.2 Jelly Bean and may receive an update for the version 4.4 in the future. A 1.6GHz Hisilicon 910 Kirin processor built up on the ARM Cortex A9 architecture has been integrated to facilitate multitasking. The MediaPad is just 238.1 grams and 7.5mm thick which is notably lighter than the Google Nexus 7 and iPad Mini. It's slated to be released in shades of black and white. 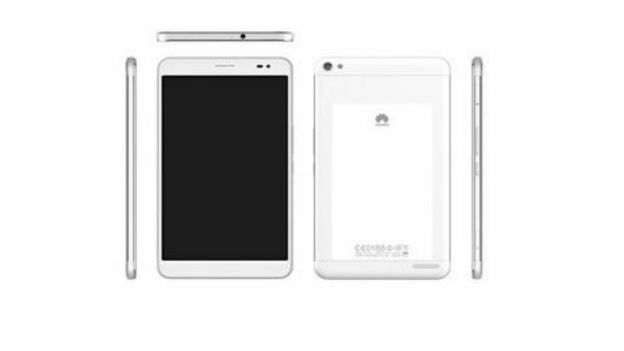 Huawei is yet to confirm the MediaPad, though TENAA certification indicated an announcement is coming soon. The MediaPad X1 7.0 is expected to appear at Mobile World Congress later this month.